Four-piece rock band Forget The Whale, from Jersey City, made their startling debut three years ago with an explosive little EP called What I Tell Myself. The record put on display, more than anything else, the band’s wild eclecticism, deriving influences from jazz, blues, funk and even nu-metal. 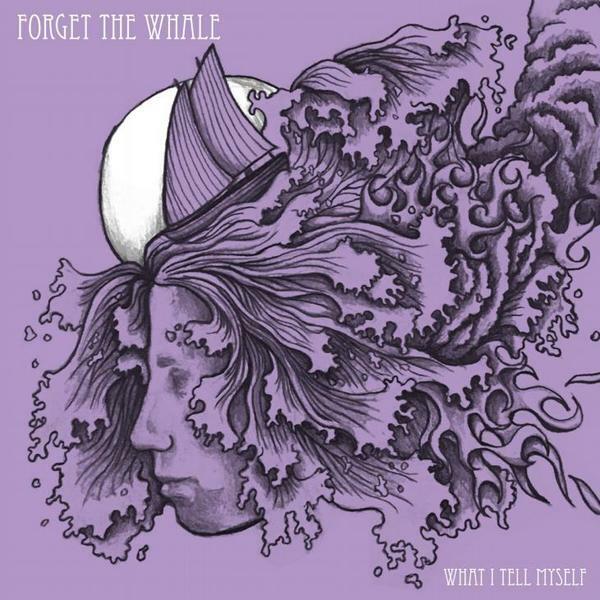 And now, finally ending the long wait, Forget The Whale returns with What I Tell Myself Vol. 2, to continue their fiery rock ‘n roll crusade. The EP opens with an all-out assault to the senses with Hex. With its loud, muddy guitar riffs and bluesy soloing, the track possesses a minimalist rawness and energy reminiscent of The White Stripes but also manages to maintain a mainstream appeal. Alishia Taiping‘s powerful vocals and AJ Zienowicz‘s terse drumming only heighten the experience. This sound is explored further on Another Trick Up My Sleeve, but as we arrive to The Little Robot, the album makes a surprising change in direction, shifting to a smoother and mellower tone. The pace drops, and melody takes the spotlight. Listeners are then led into another album highlight, Sails – an ambitious, November Rain-esque ballad, complete with a piano and two wailing guitar solos, before the record closes with a sweet pop-rock number that Paramore would approve of. All in all, Forget The Whale, with its expansive range of styles and emotions, is sure to appeal to every audience.